director Semih Kaplanoğlu’s is best known. the wall to find him, a journey that will change everything Erol knew. Semih Kaplanoğlu (1963, Izmir, Turkey) is an award-winning film director, producer and screenwriter. His debut feature, Away From Home (Herkes Kendi Evinde, 2001), won Best Director award at the Singapore IFF and his second feature, Angel’s Fall (Meleğin Düşüşü), premiered at the Berlinale Forum in 2005. After that, he embarked on producing and directing the Yusuf Trilogy: Egg (Yumurta, 2007) premiered in Cannes, Milk (Süt, 2008) premiered in Venice and Honey (Bal, 2010) won the Golden Bear Award at Berlinale. 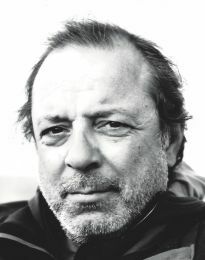 Kaplanoğlu is widely regarded as one of the most accomplished and influential directors in Turkish cinema.